The Queen will pay tribute to London and Manchester in her Christmas Day broadcast for the way in which they dealt with this year's terror attacks. Looking back over 2017, she will say both cities' "powerful identities" have "shone through" adversity. The Queen will also praise the Duke of Edinburgh for his support, in the year of their 70th wedding anniversary. She will spend the day at Sandringham with the Royal Family, including Prince Harry and his fiancee Meghan Markle. 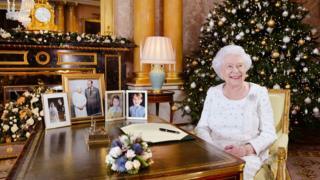 It will be the first time someone who is yet to marry into the Royal Family will have joined its Christmas celebrations.